This pattern was written in 2011. 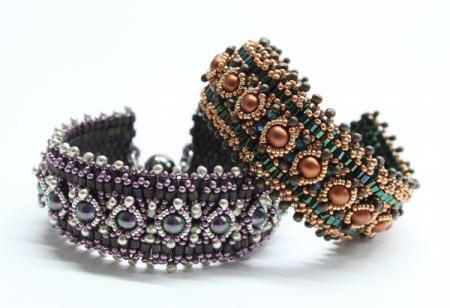 The bracelet is easy to make and will be finished after a short time. 13 pages with drawings and pictures. The original version of Ayshe was written in 2010. 11 pages with many drawings and images. 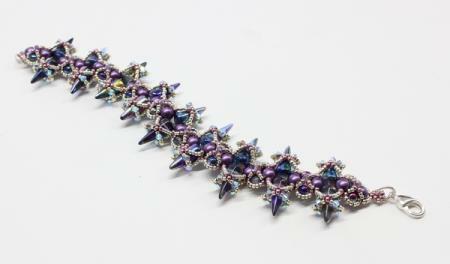 A beautiful bracelet made with spike beads. The pattern was written in 2012. 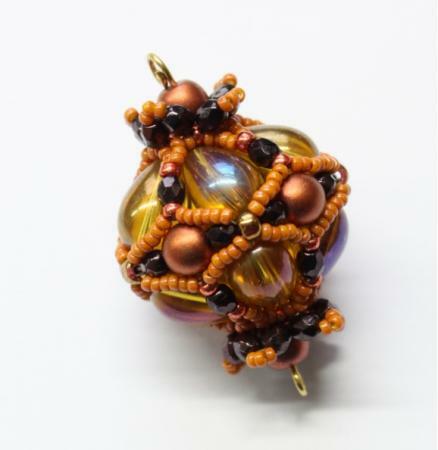 A base in cubic RAW, embellished with bicone beads. 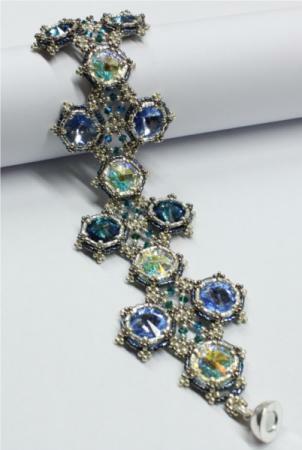 The components can be arranged to bracelets, necklaces and pendants. 10 pages with many drawings and pictures. A simple method to bezel and connect rivolis. 12 pages with many pictures and drawings. The pattern is only available as download. 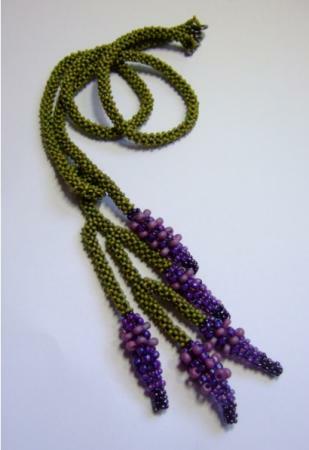 A nice starter for Peyote technique. 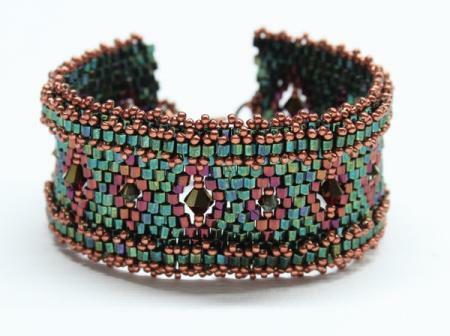 The bracelet is easy and fast to make (compared with usual seed bead projects). 8 pages with many drawings. The necklace si based on circular RAW. The parts are soft and smooth and can be combined in endless ways. 11 pages with many illustrations. 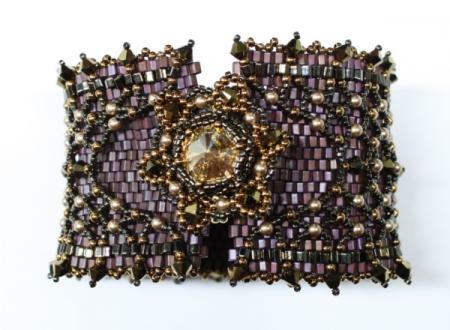 A bracelet with a base in Peyote technique embellished with a sparkling net and a beautiful rivoli as focal piece. 18 pages with many drawings and images. 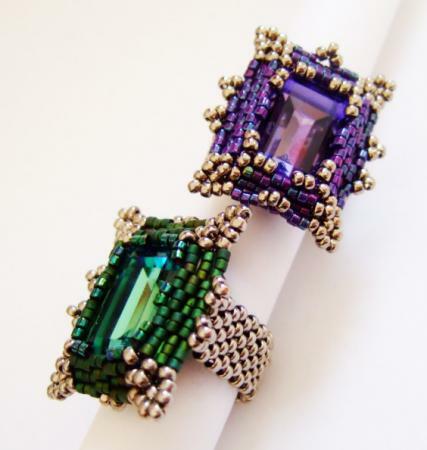 For these rings you need a rectangle cabochon, SWAROVSKI Element 4527, 13 x 18 mm. 11 pages with many drawings and illustrations. 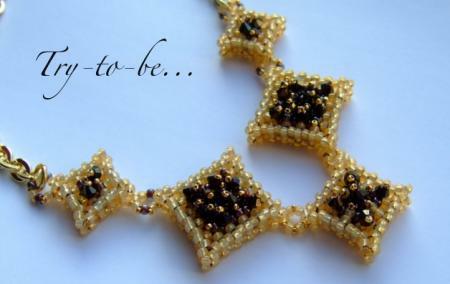 The pattern was written in 2009 and is only available as download. 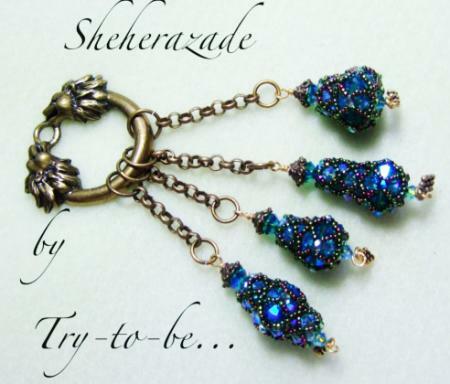 The instructions show a pendant in different variations and invites the beaders to try their own. The pattern was written 2009 and is only available as download.